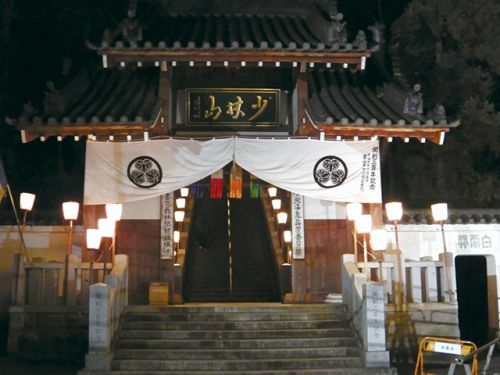 Shorinzan Daruma Temple in Takasaki can be visited all year round, however the highlight of the year takes place on January 6 and 7 with Japan’s largest and most famous Daruma Market (Daruma Ichi) where an estimated 300,000 people visit over the two day period. The paper mache Daruma Doll is a good luck charm and represents a famous Zen Monk. Daruma dolls are traditionally bought at the beginning of the year with the eye pupils blank. A wish is made and one of the pupils is painted in. If the wish comes true the second pupil is painted in, and at the end of the year the Daruma doll is returned to the temple to be burnt. 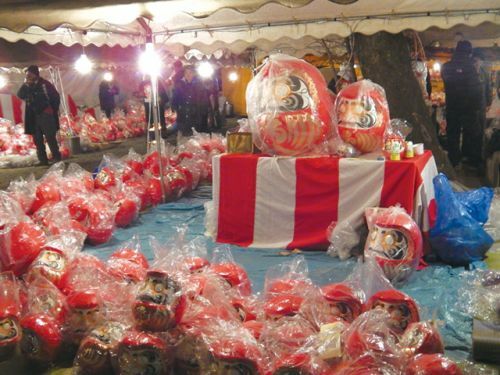 At the entrance of the Daruma Ichi Market there is a large tent where the Daruma Dolls are returned to be burnt at a late date. From there you walk up the stone stairs which is lit up by bright lanterns on both sides. At the main temple you offer a coin and make a wish for the coming year. From there on you pass through the hundreds of vendors where you haggle the price of your new daruma doll. 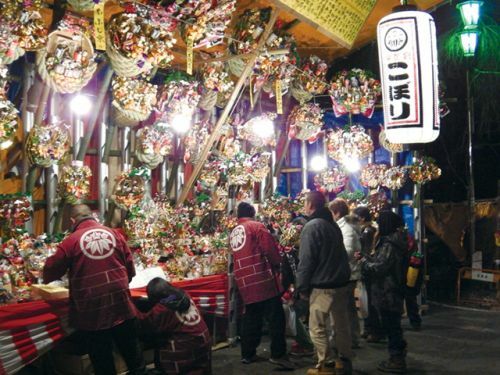 The descent on the narrow road outside the temple is a spectacle in itself too, with the hundreds of food stalls where you can buy a huge variety of foods and drinks and make merry with your new Daruma doll.